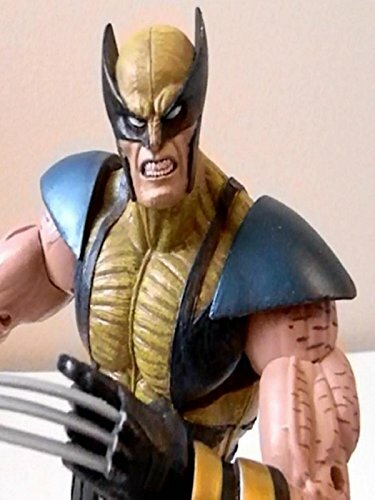 This Marvel Legends Icons series WOLVERINE is about 12" inches tall. It was made by Toy Biz who only made a few sets of figures in this scale. This is Wolverine in his X-men astonishing costume. It's a fantastic action figure. Hasbro did reuse the mold and make a brown costume but that one is not comic book accurate. And this is the better figure. For fans of the character I would recommend it.